It is extremely important for all Leaseholders to be aware of the consequences of allowing the term of their Leases to drop below 80 years, which can potentially lead to problems on sale or re-mortgage. Delay makes the cost of the extension increasingly expensive as the remaining Lease term shortens and property values increase. Freeholders also need to be aware of the potential premiums available to extend Leases. Our Specialist Lease Extension team can assist both. 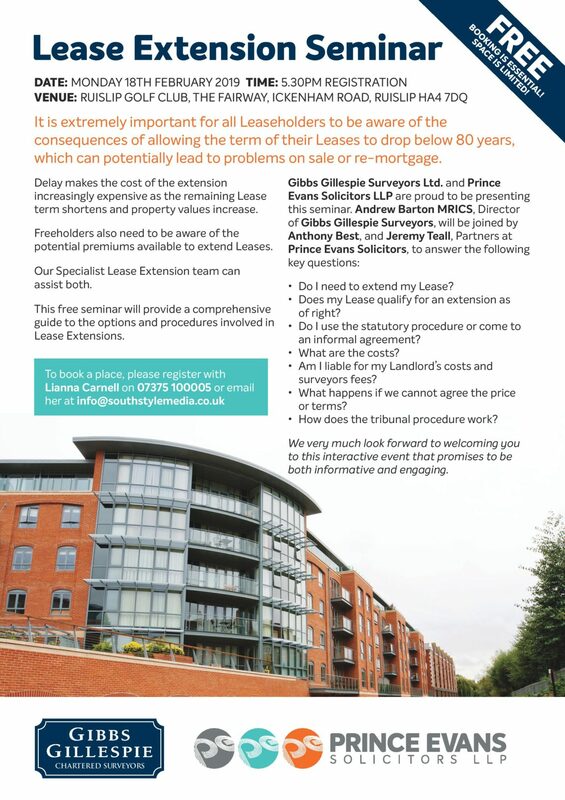 This free seminar will provide a comprehensive guide to the options and procedures involved in Lease Extensions. • Do I need to extend my Lease? • Does my Lease qualify for an extension as of right? • Do I use the statutory procedure or come to an informal agreement? • Am I liable for my Landlord’s costs and surveyors fees? • What happens if we cannot agree the price or terms? • How does the tribunal procedure work?